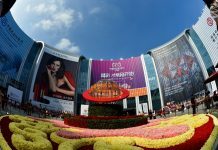 Several world leaders, including heads of state and international organizations, addressed the opening ceremony of the first China International Import Expo (CIIE) in Shanghai on Monday, following Chinese President Xi Jinping’s keynote speech. “Trade is and must be seen as a win-win opportunity,” President of the Dominican Republic Danilo Medina commended the country’s newly-established diplomatic relations with China and the CIIE. 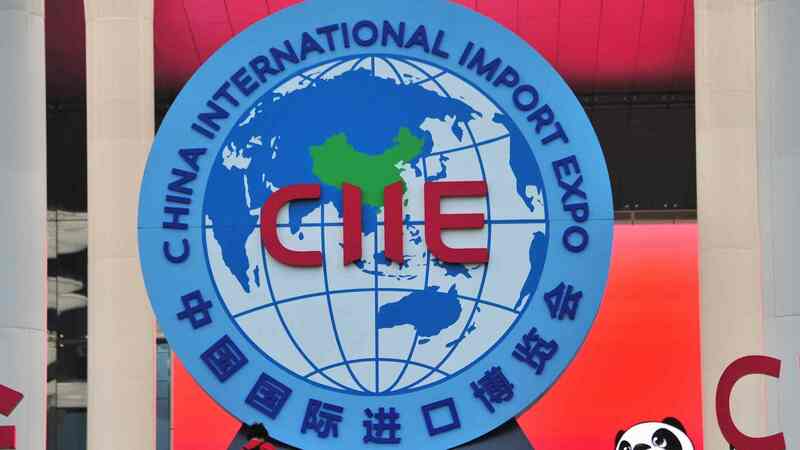 Medina said the CIIE is not only a platform for foreign investors to learn about the products and services demanded by the Chinese market, but also to promote commercial exchange and greater understanding among countries. 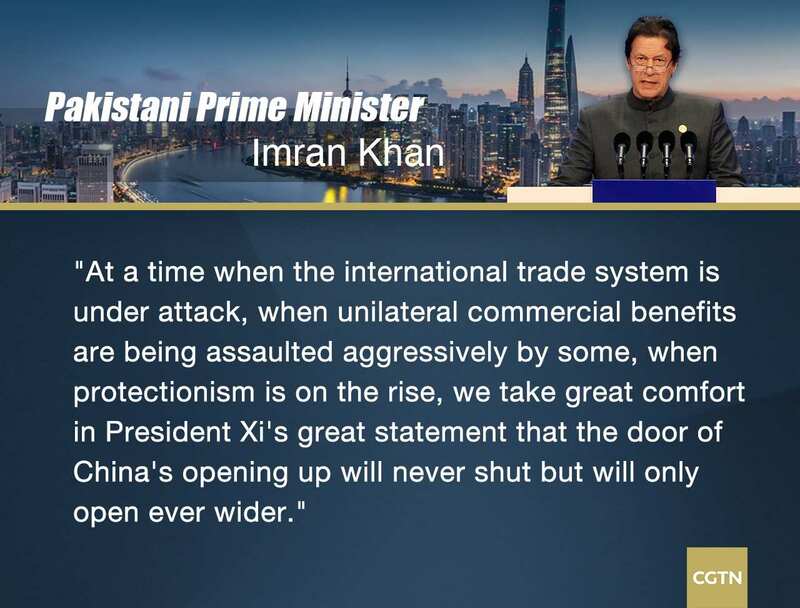 He stressed trade must be win-win and participating in the CIIE is the best exemplifier of globalization. 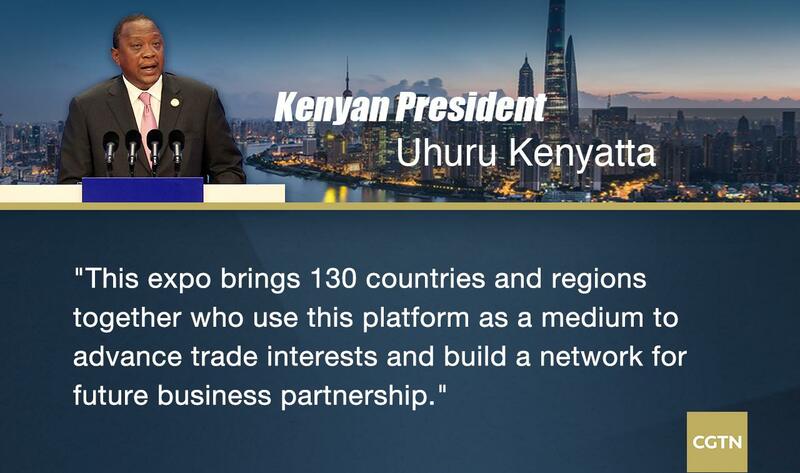 Kenyan President Uhuru Kenyatta said the CIIE has shown China is open for business to the world and can help close the trading gap in Kenya and Africa. Kenyatta also praised China’s investments in Kenya over the years, citing China’s “strong and growing support” of the country. Noting that Kenya has one of Africa’s most conducive investment environments, Kenyatta also called for more Chinese companies and manufacturers to come to the country. 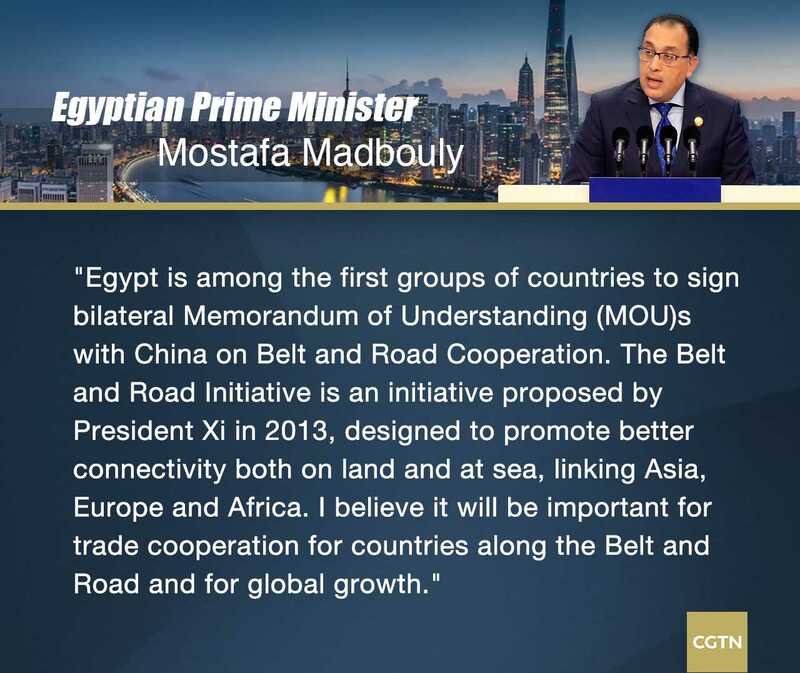 He said he believes the China-proposed Belt and Road Initiative, a global economic endeavor linking Asia with Europe and Africa, will be essential for the development of countries along the Belt and Road route. Hungarian Prime Minister Viktor Orban told the audience that China has contributed to the growth of the Central European region by creating the 16+1 cooperation format between China and Central and Eastern European countries. 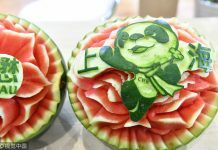 He also said Hungary will always support free and fair trade, and will continue to participate in the China-proposed Belt and Road Initiative. Pakistani Prime Minister Imran Khan said that projects like the CIIE and Belt and Road Initiative, as well as the China-Pakistan Economic Corridor, have helped promote more closely-integrated economies in South Asia. He commended the Belt and Road Initiative for impacting not only Pakistan but all the economies of the entire region. Russian Prime Minister Dmitry Medvedev said that China is one of Russia’s most important partners and his country appreciates their Chinese colleagues seeking to build long-term partnerships and trade relations, which will benefit all the stakeholders. In recent years, China has not only been a global producer of industrial goods but also a giant market for products, he said, adding that China-Russia ties are not dependent on economic and political cooperation but based on mutual respect and interests. “China has attained phenomenal achievements in socio-economic development and made important contributions to global economic growth,” said Vietnamese Prime Minister Nguyen Xuan Phuc when delivering his speech at the expo. The Asian leader spoke highly of China’s achievements over the years while emphasizing that multilateralism remains the key issue of global economic development. “No single country is able to grow on its own without participating in the integrating process,” he said. 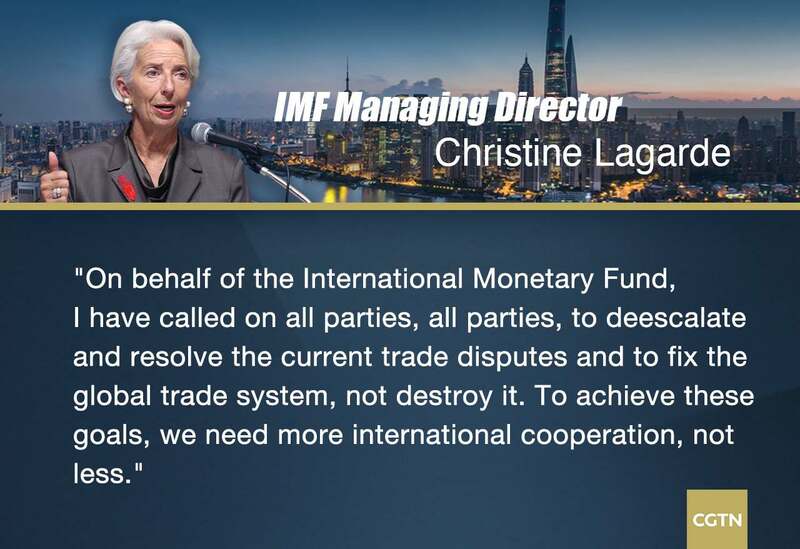 The International Monetary Fund’s (IMF) Managing Director Christine Lagarde said China has built “three bridges”: Reform and opening up, the efforts to rebalance its economy to consumption-led growth, and efforts to enhance international cooperation and trade. She urged world leaders to strengthen international collaboration and fix the global trade system and resolve trade disputes. 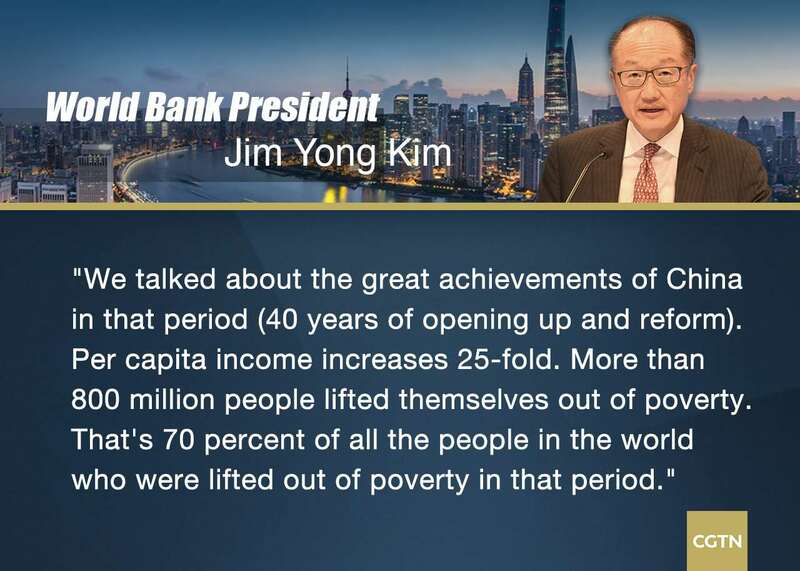 President of the World Bank Jim Yong Kim was impressed by China’s poverty alleviation efforts. He gave an example: The poverty rate of Guizhou, one of China’s poorest provinces, dropped from 30% in 2013 to 8% now, thanks to the rapid development of e-commerce. The World Trade Organization (WTO) Director-General Roberto Azevedo appreciated China’s efforts in global trade. “The country is now increasingly active in the WTO in many ways, including helping other developing and least developing countries to join and benefit from the trading system through a number of support programs in the WTO,” he said, adding that China’s efforts are welcomed by the international organization.